Social media spending has doubled worldwide1 in the past two years, making it increasingly difficult to build a solid following through organic reach. Though paid advertising should still be included in your social media strategy, you can build a following organically by knowing how to reach your audience and leverage them to gain more fans. If you have missing fields on your profile page (like an address or phone number), fill them out and upload a quality profile photo to appear higher on search engines.2 Once you’ve enhanced your profile, share it! This initial outreach will build a network of your first fans. Send a link to those on your email list, invite existing contacts to like your page, and link to your profile from your website. Most social media sites use an algorithm3 to decide the best posts to serve to specific users. Understanding this algorithm is key in making sure that your audience sees your content. Typically, this algorithm judges a post based upon its relevance to a user, how current it is, and the post’s engagements. You are essentially competing against your supporters’ friends for their attention among hundreds of other posts in their feed, so tailoring content to your target audience will go a long way. Plus, when a person likes, comments, or shares your post, it will show up on their friends’ timelines and therefore expose your page to more potential fans. Social media is undeniably content-driven, so spend time finding and creating the right content for your brand. Sharing high-quality websites and images will let your fans know that they’ve chosen a reputable page to follow rather than one they may write off as spam. Once you’ve hooked your target audience, keep expanding the content you share: part of building a strong following is reaching users on the outskirts of your audience who may not be quick to follow your page. For example, sharing an article about a local community event might not be directly related to your brand if you’re not a sponsor, but it’s a great example of community involvement and it may reach a wider demographic to increase traffic to your page. Always be sure the content you post supports your brand’s personality and attracts the right fans for your business. Maintaining your audience on social media is just as important as obtaining it; any user that has followed your page can just as easily unfollow it if they feel your content isn’t serving them. To make sure you’re satisfying your fans, regularly check your page’s insights to track your audience’s interests, which types of posts receive the most engagement, and when your fans are most active during the week. This way, you can tailor your posts to fit these expectations and continue to increase your following. Building a network is a two-way street: it’s impossible form a relationship with your fans if you don’t interact with them. Responding to comments, messages, and reviews will not only let your fans know you’re listening, but also promote engagement if they know they’ll receive a helpful response. In fact, 42% of people4 tell their friends about good customer experiences on social media and are three times more likely to recommend that brand, so spend time on your responses and always be professional and courteous. Reaching out to influencers in your industry is an extremely effective way to gain social media followers. Influencers5 are users who already have a large following on social media, so it’s worthwhile to contact them with an idea or opportunity. A simple gesture may lead them to mention your brand on their page or collaborate with you, which will drive some of their traffic to your profile. As previously mentioned, paid advertising has gained significant ground in recent years. Once you’ve defined your target audience, you have several ways to gain more fans by spending a small amount of money. Different ads can drive traffic to a specific post, your profile, or your website to reach people who otherwise might not come across your page. Your ad can appear in their news feed if you’ve targeted some of their interests, which will guide them towards becoming a fan if they engage with it. With over 2.8 billion people6 using social media, it can be difficult to reach your target audience when competing with billions of other posts each day. Optimizing your organic reach starts with staying active, relevant, and consistent. With a little maintenance and paid advertising, you’ll see your fan base grow. Interested in how Search Optics can help increase your social media following? Contact us today! 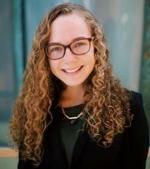 Hannah Brauer, Search Optics Social Media Intern, is a second-year student at the University of Michigan studying communications and creative writing. She hopes to pursue a career in advertising while utilizing her skills in writing, marketing, and design.